I stayed at Papaya apartments with my 20 month year old child. The space was great as the apartment was big for him to run around and it had a very well equipped kitchen. The apartment location was very good only 10mins walk to the old town square and wawel castle. Great apartment, great location. On street parking was ok as well-always found a space near the apartment. Please note to buy a parking ticket you will need coins only (and it costs around 30ZL for 10 hours between 10:00 and 20:00 and then is free over night from 20:00 to 10:00). Spacious, clean, good facilities in the apartment. , would recommend to my family and friends. Really good location, close to both the Jewish side and the main square. Didn't feel threatened when walking around the streets, even late at night. Perfect location. Few minutes walk to castle, main square, Jewish district, train station. Spotlessly clean. Beds in bedroom very comfy. Staff very helpful. 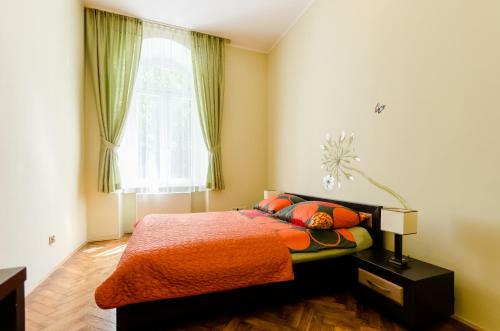 The location is great close to the Main Square and Kazimierz. The value for money amazing. 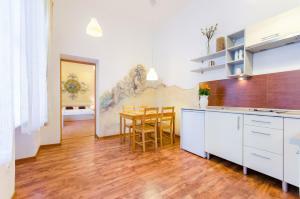 Great location, very close to the Old Town and Kazimierz. Spacious apartment, basic kitchen equipment, tea/ coffee etc. 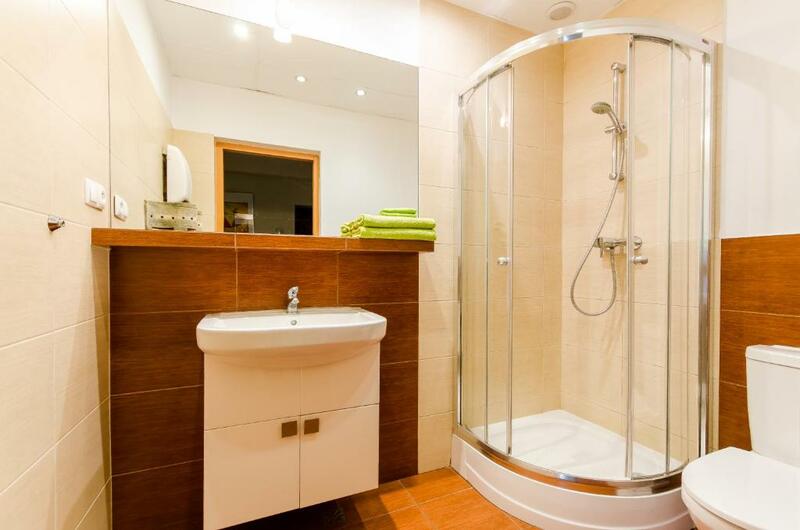 Modern and clean bathroom. Quiet as windows are facing the backyard. Good contact with owner, no problem with later check out. Nice playground at the end of the street for those traveling with children. 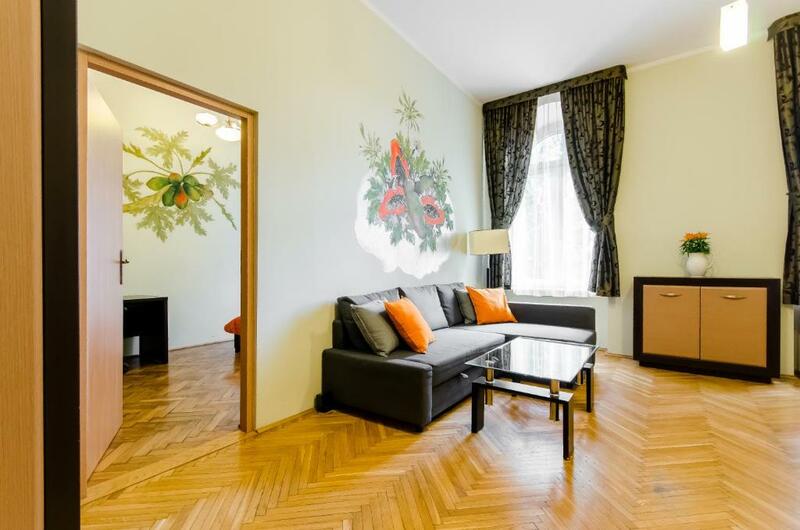 Accommodatie had een perfecte ligging om krakau te ontdekken. Ondanks ligging op begane grond aan een straat geen last gehad van geluid. Het appartement was lekker ruim, netjes. Het 2 persoonsbed was iets wat zacht, maar het uitschuifbed (ikea Hemnes) was daarentegen prima. Dus daar hebben we gewoon het 2persoonsbed van gemaakt. En het was lastig om de verwarming helemaal uit te krijgen waardoor wij het op de slaapkamer iets te warm vonden. 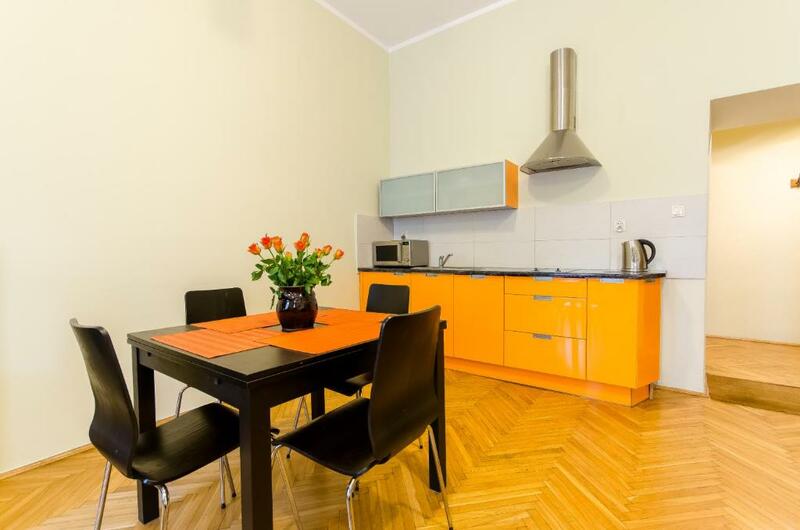 Lock in a great price for Papaya Apartments – rated 9 by recent guests! Located in the Stare Miasto of Krakow, a 10-minute walk from Wawel Royal Castle and 0.8 miles from St. Mary's Basilica, Papaya Apartments offers free WiFi. The property is a 15-minute walk from Lost Souls Alley and 0.9 miles from St. Florian's Gate. 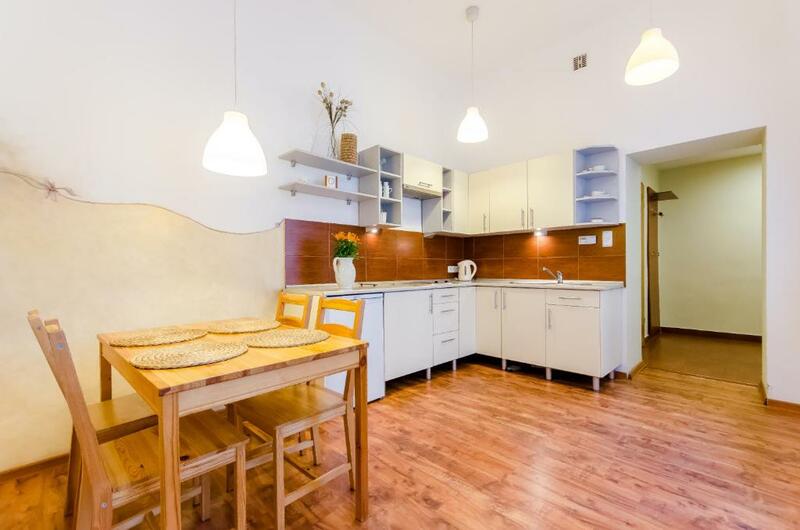 This apartment has a living room and a fully equipped kitchenette. There's a bathroom with a hair dryer. Cloth Hall is a 17-minute walk from the apartment. 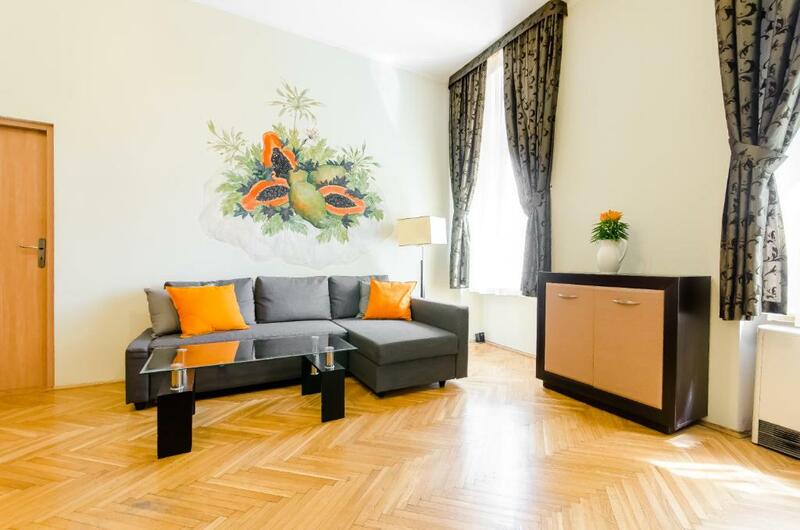 The nearest airport is John Paul II International Kraków–Balice Airport, 15 miles from Papaya Apartments. When would you like to stay at Papaya Apartments? Public parking is available at a location nearby (reservation is not needed) and costs PLN 30 per day. House Rules Papaya Apartments takes special requests – add in the next step! Please inform Papaya Apartments of your expected arrival time in advance. You can use the Special Requests box when booking, or contact the property directly using the contact details in your confirmation. Tiled flooring in bathroom so its very cold when using, I advise to bring slippers. Pillows on the bed were uncomfortable Towels were a little small, could do with putting bath towels in for when you get out of the shower. Sofa bed in living room not very comfy for 2 but ok if 1 slept there. Wifi poor. The apartment wasn't the apartment we expected via pictures on the internet. The owner owns 18 properties and the pictures are a collage of various apartments. We expected a more modern one. Not enough daylight, for most of the time you need to put the lights on also during the day. Some smell of damp inside (electric water absorber is available there though).